Mike Arbour, AIA is the newly inaugurated president of the Dallas chapter of the American Institute of Architects. Mike is also a very busy man, wearing two presidential hats this year. He is the president of JHP Architecture/ Urban Design, and his term as president of AIA Dallas will be full of activity as the chapter moves to its new home in Republic Center in August. Mike joined JHP in 1988 and became the firm’s president in 2003, in recognition of his many professional accomplishments in commercial, retail and multifamily projects. 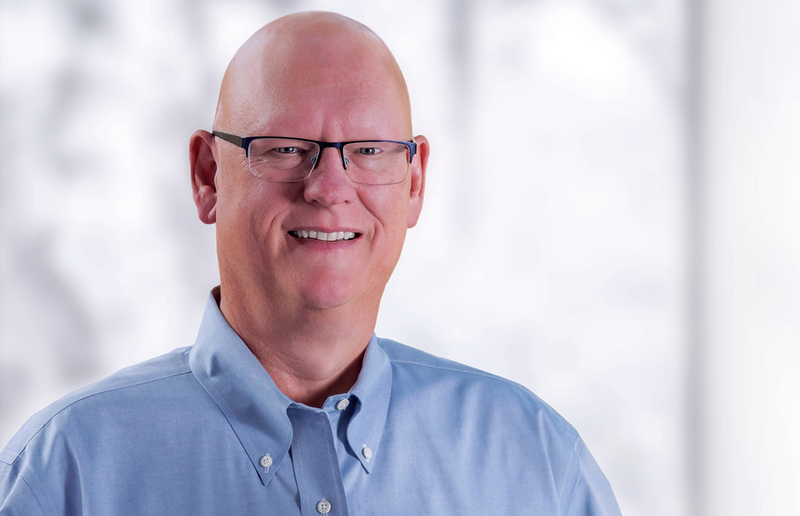 Though much of Mike’s time at the firm is spent in his business-leadership role, he remains intimately involved with the design and execution of many of the firm’s highest profile design projects. 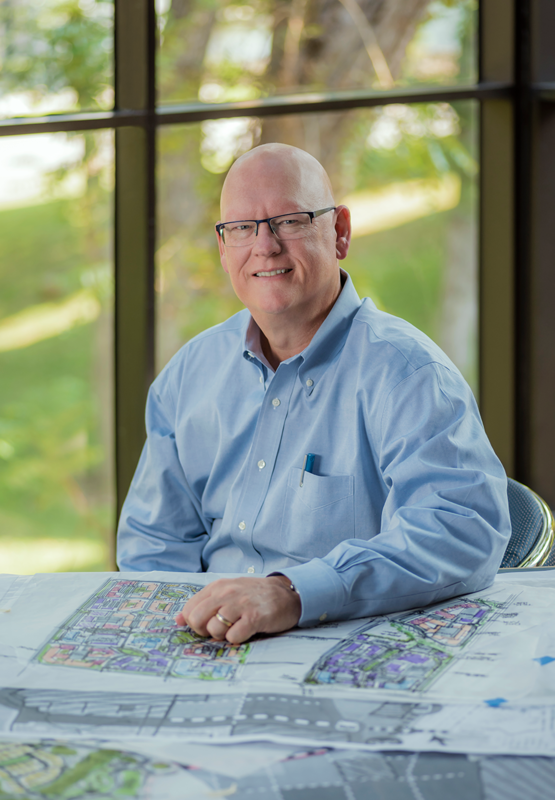 Mike also has a long and exemplary record of service to AIA Dallas. He has served as Columns publication chair from 1999 to 2001, communications commissioner, vice president/secretary, and vice president/treasurer before assuming his current position as chapter president. Mike is the third AIA Dallas president from JHP, preceded by Bob James, AIA (1999) and Mark Wolf, AIA (2008). He also serves on the board of the Dallas Center for Architecture Foundation (DCFA). JHP was named AIA Dallas Firm of the Year in 2000, and Mike was personally honored as AIA Dallas Young Architect of the Year in 2001 and received the AIA Dallas President’s Medal in 2003. Mike, congratulations on assuming the presidency of AIA Dallas. Readers want to learn more about you and your goals as AIA Dallas president. Tell us about where you grew up, your family, childhood interests, and early jobs. I grew up in Baton Rouge, the oldest of three children; I have two younger sisters. I enjoyed water skiing and catching crawfish. My dad was an engineer, so I was acquainted with some of the technical side of the construction process. In the sixth grade, I saw an interesting article in Time magazine about architect Luis Barragan. I loved his work. It was a revelatory experience for me, as it was so very different from the architecture and buildings of southwest Louisiana. The possibilities of creating something new and different intrigued me, and from that time forward, the architecture profession was my professional goal. Why did you decide to attend Louisiana State University? My parents told me to go to LSU. Both of my folks had gone there and we lived a mile from the campus. Since they were paying the bills for my education, it was certainly an economical way to earn a degree. I liked LSU and my courses. I especially enjoyed architectural history. What brought you to Dallas, and how did you get to JHP? I had met my wife, Katy, in a second-year lab at LSU. When we graduated, Katy moved to Dallas and I backpacked through Europe. When I came back to the states, Dallas had two attractions for me – a big city where I could get a job, and a way to pursue a relationship with Katy. I went to work at PGAL, primarily doing spec office projects with Mark Wolf. When the 1980s recession hit, the firm downsized dramatically. Mark and I were fortunate to be hired by Bob James and Ron Harwick at JHP in 1988, and we have been here ever since. What do you find most rewarding as president at JHP and what projects or initiatives have you enjoyed the most? There is a great culture at JHP and most of our people stay here for a long time. I've seen the culture maintained and grow to our current size of around 70 people. The leadership team chose to keep the firm size midsize so we can foster a sense of community within our team. JHP is a fun place to work. We do multifamily, senior housing, and mixed use. We also do urban design and urban infill, which I like the most. We've even done cruise ships, too. Tell our readers about Bob James, namesake of the Bob James Memorial Lecture, supported by the DCFA and funded by JHP as a part of The Dallas Architecture Forum’s lecture series. Bob was such a great guy. He was a wonderful mentor and a very close friend. Bob was incredibly ethical in his work. He had a great sense of the business of architecture and a natural gift for organization. He had a big vision for architecture. He was both a great designer and a good administrator. He was truly a rare man. Bob is also instrumental in my becoming actively involved with AIA Dallas. When Bob was chapter president, he basically drafted me to become publications chair. Of course, I am glad that he did that as it launched my rewarding service to the chapter and profession. My wife Katy is an architect, and we met in school at LSU. I have been blessed to have three daughters. One of our daughters had special needs; she passed away at the age of 25. Raising her developed patience in both me and Katy, and showed me the importance of viewing life through a longer horizon. Another of our daughters went to UT-Dallas, where she majored in biology. She now works for the city of Frisco with a focus on water quality issues. Our youngest daughter is studying at LSU; she's currently studying in Rome. What hobbies do you have? What do you do to unwind? Katy and I like to travel – we're doing more of that now that our daughters are young adults. We also like to snow ski in Beaver Creek, Colorado. And I enjoy working in the yard. What book(s) are you reading or have you ready recently that you found interesting? All kinds of books. I enjoy reading about politics and the impact political developments have on our lives. Some favorite books of mine are Strangers in their Own Land which was written by a sociologist from Berkeley. He wanted to figure out “red states,” so he went to Lake Charles, Louisiana. He studied how the environment drives things there - people live outdoors but tolerate pollution because much of it is produced by the companies that provide jobs for the residents. I also like the book Hillbilly Elegy - Appalachia, which explores socio-economic issues in that region of the country. Everything–classical, jazz, Van Morrison, and REM. I have quite a variety of music on my iPod that I listen to on the plane when traveling. Favorite cities, buildings–what do you like about them? I like New York and Chicago – they are big exciting cities with urban environments that are walkable. Which architects /styles of architecture have influenced you the most? As I mentioned previously, Luis Barragan’s architectural design was a compelling factor in my becoming an architect. I appreciate Richard Meier and, in general, I like modern and contemporary design. I also like Frank Gehry, though sometimes his design concepts are better than the actual built projects. What advice would you give to an architectural intern starting in practice? Try different things, ask questions, and travel as much as possible to learn about buildings, cities, and the urban environment. Learn about the spectrum of architectural practice—from boutiques to large firms. The profession must keep young people engaged. Some of them pursue alternate careers because they are not challenged or fulfilled. After some major attrition during the last recession, we need a new supply of developing professionals. As an industry, we must reinstate the value proposition of being an architect. Architecture is becoming more challenging, as other professions are taking on roles that architects have traditionally performed. On the positive side, I think we are seeing greater creativity from people entering the profession. When design is more highly valued, there is better produced design. What are your primary goals for your AIA Dallas presidency? We'll focus on our move to Republic Center. Initiatives are set for us to move by next summer, but there will be a lot of work for the staff and a lot of decisions for the board as we finalize plans and complete the move. We're creating a new strategic plan regarding committee structuring and messaging related to the new space. We are also planning greater outreach to our current membership and to the public. This will be a year of outreach, communicating who we are and what architects contribute to our communities. We want to clarify the roles within the chapter and reintroduce the DCFA to our members as a force in positively shaping our region. I seek to be a stable, even-keeled person. I also don’t live in the extremes. That comes from the influence of our special needs daughter. You learn to not sweat the small stuff. I love the profession. I wouldn't want to do anything else. We make impactful differences in people's lives. It's fun work … and I keep “having fun” as a priority. I enjoy what I do. Interview conducted by Nate Eudaly, Hon. AIA Dallas, the executive director of The Dallas Architecture Forum.